As I posted in another thread, my neighbor was doing some spring cleaning and found a couple hats, asked me if I wanted them before he threw them out. Here's a 10th Cavalry Regiment beret somebody gave him years ago, he doesn't remember. I'd sure like to know a little history on it. No name or SSN in it. Your beret dates from the 1970s. These were a hot number among the armor and cavalry branch soldiers. There was a movement at the time to get DA to approve the black beret for armor crewman as our counterparts in European armies wore a black beret, and the armor, and cavalry troops wanted it for as a recognition and esprit d corps. The beret was certainly much more practical worn around armored vehicles, easily folded up and stored, and still looked presentable when unfolded or unrolled. My unit was authorized by the Division CG to wear red bandannas when in the field for recognition, and as a practical accessory in the desert we usually trained in. Shortly thereafter DA published a General Order that the wear of unauthorized insignia and uniforms was to be discontinued. The armor and cavalry branches never officially wore the beret. No one in my unit wore the beret (the first examples I saw were worn at Ft. Knox), and we were ordered to stop wearing the bandannas. As an alternative to the red bandanna we were issued olive drab field bandages for use in the desert. In my unit during dress occasions we were were required to carry the bandanna and anyone that couldn't produce one when challenged was expected to buy a drink for the challenger. The Squadron issued Spurs Awards to individuals that demonstrated the spirit of the cavalry during field training, and was expected to wear spurs on dress occasions. Why to go, alibi......show your stuff!! Thank you for the histroy. Thank you alibi, that is some excellent info! My neighbor was a "Zeitsoldat" for 12 years the end of the 60's into the 70's, so he probably got the beret through some horse trading, which we all did back then. I remember seeing other tankers wearing the black beret in the early 70's when we went for tank gunnery in Grafenwöhr, or maneuvers elsewhere over here. We all wanted that beret very bad, but we had one little problem, we were a tank battalion in an infantry division, the Big Red One, no chance, we were stuck wearing our od green baseball caps. I photographed these troopers of the 6th Cavalry at Ft. Knox during the cavalry field training phase of Armor Officer Basic Course in 1975. They weren't exactly thrilled at being photographed, but didn't object. I attach the image here because of the discussion of the use of berets in the armor and cavalry that was later ordered to be discontinued. 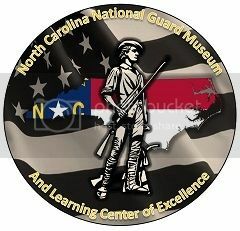 Both soldiers were cadre of the Armor School as reflected by their SSI. They displayed their rank on their headgear with the white plastic backing, that was authorized for wear on the collar of the rain coat at that time, both have painted half the plastic backing red in a diagonal to represent the red and white guidon of the cavalry. I had completely forgotten that they wore the distinctive crest of the 6th Cavalry on their fatigue shirt pocket as a means of identification to the Regiment. I got out of the army in 1975, and I never saw anyone wearing unit crest on the fatigue shirt pockets, we wore them on our fatigue baseball caps,and some people wore them on thier field jacket epaulettes. But then again, I spent all my time in Germany. Here's a picture of what my baseball cap looked like back then, complete with PFC (Personal Friend of the Colonel) rocker underneath. I finally came across this image while sorting through boxes of papers and photo prints. I hate to inflict me on those of you that may venture to view this image but felt it would be useful to finishing out my contribution to this thread. This formal studio portrait was taken by a professional photographer at Ft. Knox in June 1975 while I was attending the Armor Officer Basic Course. During the same sitting I also had images taken in Class A uniform, both with and without the beret, which is the same beret shown in the previous images posted here, only with my rank insignia as I previously reported. I suppose I will eventually locate the other images that were printed, and I was some what surprised to learn that the cost of the prints was $24.35. That might get you one 8x10 color print today.